One of the senior SJSM students is offering Step 2 CS tutoring via online video conference for those who are seeking guidance for the test. This student has extensive knowledge of what to do and what not to do. He has passed all his USMLE tests on first-attempt so he is he go-to guy for tutoring. I highly recommend him. If you are interested then please contact me regarding his contact information and pricing. The following is a guest post. It’s a contribution article from a graduated Saint James School of Medicine student. 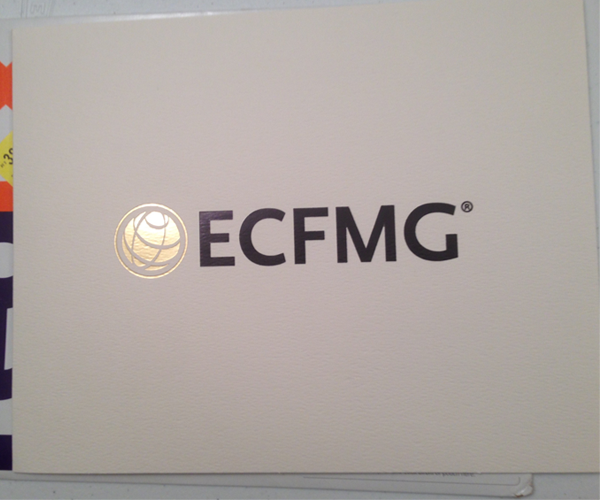 Well the time has come, I am ECFMG certified. Thank you Almighty for such a great success. It’s such a relief and I can’t believe it’s done. It was a long journey and accomplishing it is a great feeling. Of course the journey is not over yet; now I have to work on getting into residency but I’ll put that worry to the side and enjoy this moment and just reminisce on all the work that was put into it. 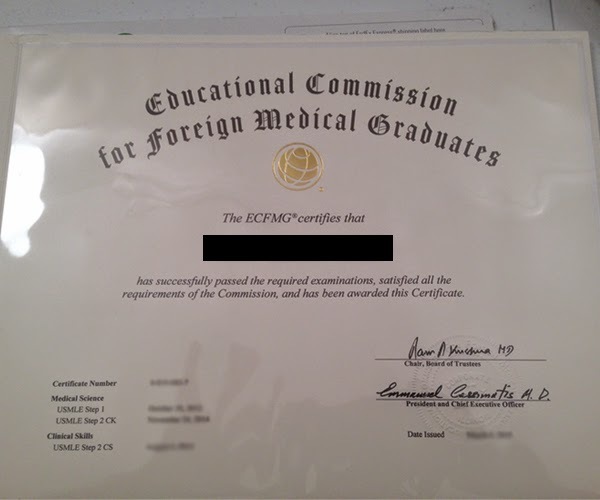 The process of getting the ECFMG certificate is a very simple process and SJSM did a great job in helping me get it. They were very supportive in getting my papers done fast and getting my credentials verified so the certificate would arrive at my house. The certificate came in via FedEx and it was inside a hard paper cover. As you can see from he screenshot above that it looks nice and clean. The certificate was placed under a plastic over. I displayed my certificate but I blurred out and blacked out my key information because I don’t want my information out there on the web. As you can see this is it; this is what we were striving for the past couple of years. In order to get this certificate you have to pass the USMLE Step 1, USMLE Step 2 CK, USMLE Step 2 CS. The certificate displays the dates of the exams you passed, which is displayed on the bottom left corner. It also has the date the certificate was issued on the bottom right corner. All in all, I’ll tell you, if I can do it then you can too. It requires persistence in times of difficulty and confidence from the beginning to the end. So what does it mean now? What it means now is that I finally get to have DR before my name and MD after my name. Also, I am now eligible to take the USMLE Step 3, which also depends on the State of residence.